Everyone who sees the line up of Smash The House Festival agrees within a heartbeat; this is the most epic line up any party in Curaçao has ever seen. And now we’ve gotten the news that there is another big edition to the festival: Eva Simons is coming to Smash The House Festival as well and she will do her first public DJ set ever! Eva Simons is currently one of the most sought-after EDM vocalists in the world and has worked with big names like LMFAO, Afrojack and Will.i.am. Her cooperation with Afrojack on the hit Take Over Control resulted in a platinum single in the US (over 1,000,000 copies sold) and her cooperation with Will.i.am on This Is Love got them a number 1 position in the UK with 102,000 copies sold in the first week after release alone. Lately Sidney Samson has been training Eva in the noble art of DJ-ing and her very first DJ set (with plenty of vocals as well, we’re sure) in the world ever will be at Kokomo Beach during Smash The House Festival. 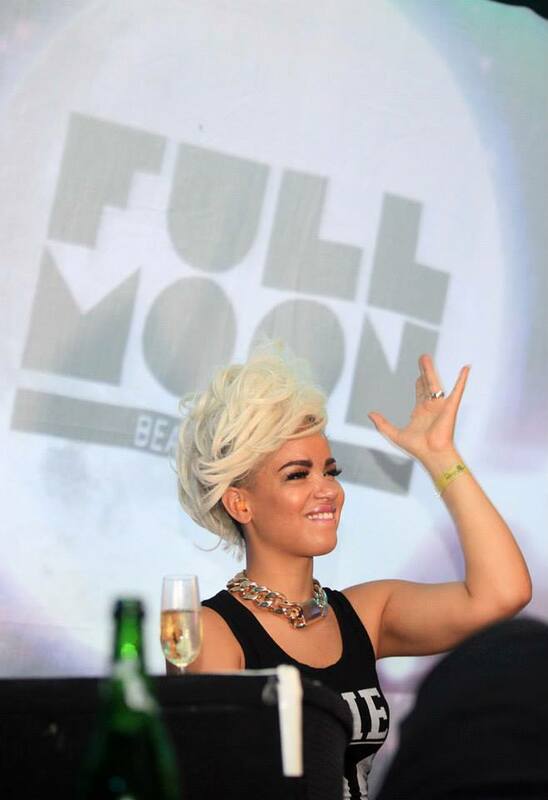 At last month’s Full Moon Party she also came with Sidney Samson so she got a glimpse of what parties in Curaçao are like. Apparently Kokomo and her management got together after that party to hash out the details of her coming to Curaçao for her own set and earlier this week they reached an agreement. Our opinion: this is another great addition to an already epic EDM festival and we know that she will blow the roof off Kokomo when she hits those turntables! If you haven’t bought your tickets yet, you can still order them online at www.smashthehousefestival.com or -if you’re on the island- at several physical locations. For a full listing of ticket sale locations, check the event on our website. Posted in News, Party Announcements on December 6, 2013 by Joost. So nice to see the island’s receiving top singers! It will certainly be a great show. Anyone who is coming to the Smash House Festival is more than welcomed in the accommodations offered by Curacao Rental Homes. We will make sure you’ll have the stay of you life!